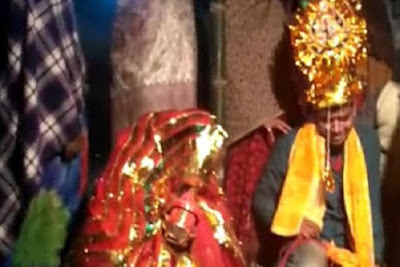 Vinod Kumar had gone to the wedding of his friend in Nalanda district, near Patna in north east India's Bihar state when he was seized by a group of men. The steel engineer was hauled away and 'thrashed' before guns were pointed at his head as the family of a woman he had never met forced him to marry her against his will. They wiped away his tears with their saris as the nuptials were taking place. 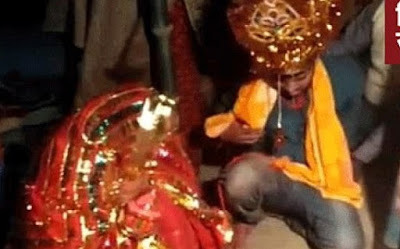 The ritual is known in the area as 'Pakadua Vivah' or forcible marriage and is quote common in Bihar, Gulf News reports. They are often carried out by families who are looking for suitable grooms but cannot afford heavy dowry costs. The junior steel plant engineer said he was not cooperating because he had not had his parents' consent. Moments later a gun was held to his head. 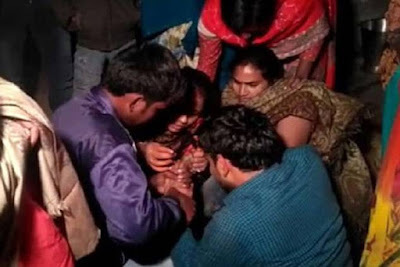 Police have launched a probe into the incident, in Mokama, Patna.